Until very recently many of us thought that the next major upgrade of Google’s Android operating system would be 5.0 Key Lime Pie and that it would be introduced at Google I/O this month. 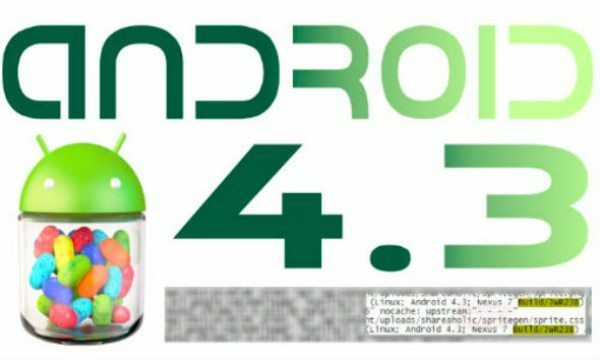 However more recently there have been reports of Android 4.3 Jelly Bean and it seems this is now likely to be unveiled at the event. Up until now it’s been anybody’s guess as to what would be included in this update but now some features appear to have been leaked for Jelly Bean 4.3. Many expected Jelly Bean 4.2 to be the last Jelly Bean update but we recently told how the 4.3 update had come to light on server logs and also how an upcoming LTE version of the Nexus 4 seems to show it running Android 4.3 on benchmarks. Now it seems HTC has unwittingly given away some of the features and improvements that will come with Jelly Bean 4.3 from a Meetup posting. Google I/O 2013 runs from May 15 to 17 and HTC has an event scheduled for Thursday May 16. At this meeting HTC will talk in depth about Bluetooth Low Energy as well as open GL ES 3.0 and the giveaway here is that the posting about the event says that HTC will discuss these as having already arrived for Android. That certainly seems to imply that Google will be announcing Android 4.3 at the keynote speech on May 15. A select few Android devices already support Bluetooth Low Energy, commonly known as Bluetooth SMART and aimed at always-on devices but making it an official Android feature would be new. Meanwhile some of the very latest Android smartphones with processors such as the Snapdragon 600 that is used in the HTC One and some models of the Samsung Galaxy S4, could soon benefit from greater graphics performance as OpenGL ES 3.0 is a new graphics specification. We think these features will be warmly welcomed by Android enthusiasts and cannot wait to find out more about enhancements and other features that will appear with Android 4.3. We’ll be following all the news very closely and will be keeping readers informed with all the latest on Android 4.3 Jelly Bean. What are your thoughts on the above new features that appear to be coming with the Android 4.3 Jelly Bean update? Are you disappointed that we may have to wait a little while longer for 5.0 Key Lime Pie? We always appreciate your comments. If Google next Android will be 4.3, what will be possibly specs requirements for it. How about Android 4.2.2 update for previous GS3 and Note2?. They will jump to 4.3 or gradually? Confused. That’s why I have a nexus 4 device. It will always receive the latest android OS available. Just when I figure out how to use some new features of Android (i.e. Lock Screen Widgets, Phonetic entries for Voice Commands)….they add new stuff. Gah Google….you kill me sometimes.